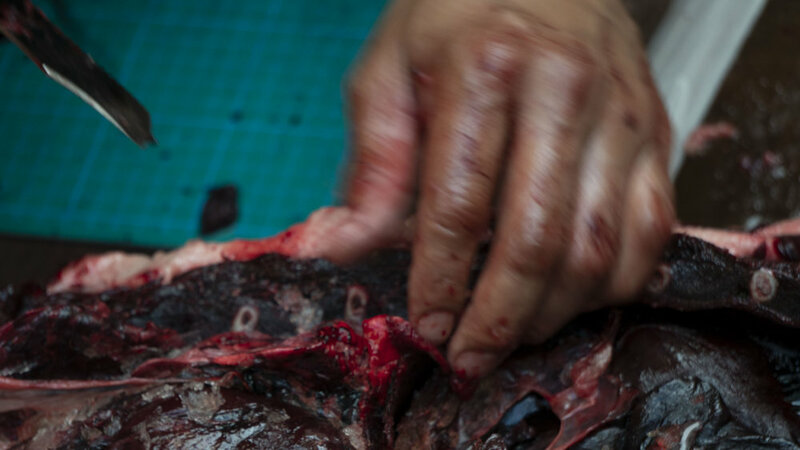 On Wednesday, June 13, 2018 the Art Gallery of Ontario celebrated the public opening of the Tunirrusiangit: Kenojuak Ashevak & Tim Pitsiulak art exhibition. 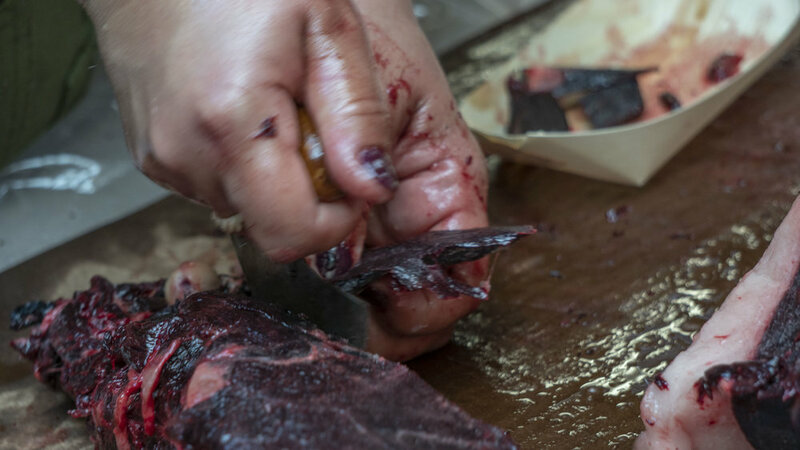 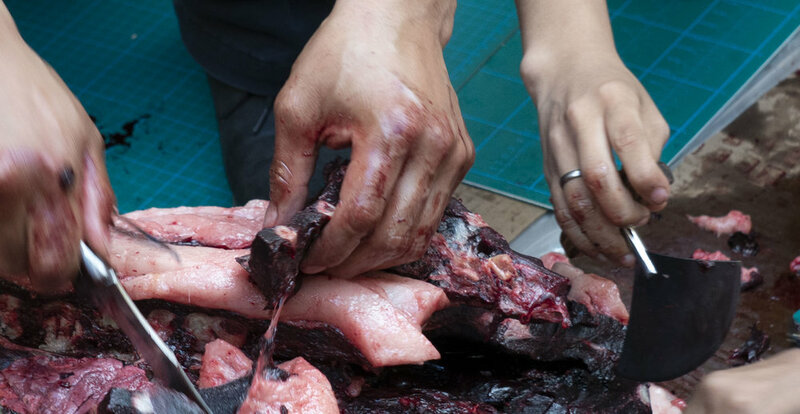 A special feature of this celebratory event was the preparing and sharing of a Nunavut hunted seal. 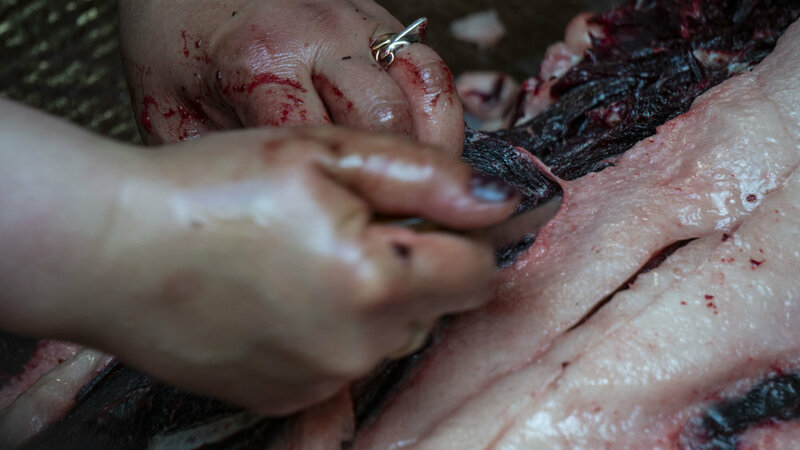 The hands at work in these images belong to Laakkuluk Williamson Bathory, Koomuatuk (Kuzy) Curley, and Ruben Komangapik.